Leading criminal suspects including alleged IRA terrorists who are being held in Ireland on European extradition warrants will have to be set free in the event of a no-deal Brexit, the UK home secretary has been warned. Sajid Javid has been told that there are "no legal fixes" to avoid the temporary release of prisoners being held in Ireland on European Arrest Warrants (EAWs) if the UK crashes out of the EU without a deal. 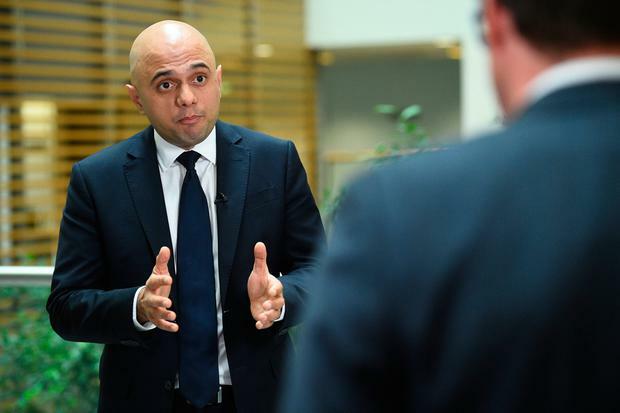 Lawyers have also warned Mr Javid that it is highly likely that some suspects may use their release to flee the country, helped by the lack of immigration controls between the UK and Ireland. "The home secretary has been told there is no legal remedy to avoid the temporary release of suspects being held on EAWs in Ireland," UK government sources said. A number of suspects could benefit from the legal lacuna that would be caused by a no deal. Among those awaiting extradition is Hyde Park bombing suspect John Downey, who is in the process of being extradited to Northern Ireland to face charges over the alleged murder of two soldiers in 1972. The news of possible releases emerged just days before hundreds of ex-soldiers will learn tomorrow whether they will face murder charges for their role in Bloody Sunday. The nightmare scenario of suspects going free will come about because a no-deal Brexit will instantly remove the legal basis for the EAW, causing Irish authorities to fall back on the much more cumbersome 1957 European Convention on Extradition. British officials hope that in some cases, those released from EAWs could be rearrested quickly under the 1957 convention, perhaps even at the prison gates. But they accept that this is not going to be possible in all cases. No deal would not affect prisoners who are serving sentences for other crimes, as their detention is not reliant on the EAWs.